IT should have its own plan that is a complement to the strategies of the other divisions. IT must develop a means to engage the rest of the units of the company earlier so that they can play a role in shaping the plans of each of those units, and after IT has a better understanding of what is necessary, an IT-specific strategy should be formulated. We are fast approaching 2015 strategy-setting season for those companies in which the fiscal and calendar year align. Most companies will contemplate and define strategic objectives around revenue growth, cost reduction, customer satisfaction, mergers and acquisitions, and the like. More strategically mature companies will filter those down into strategic plans for the functional units and business units of the company such as Marketing, Sales, Finance, Operations, Human Resources, and product and service areas of various kinds. The information technology department must bring to life many of the strategic imperatives of the other functional units and business units of the company. As a result, IT needs to weave itself into the narrative of each of those plans. Increasingly, I have heard CIOs and other IT executives say, “There is no IT strategy; there only business strategy.” This sounds great, especially for a division of the corporate structure that has historically referred to itself as separate from “the business.” The problem is that this would seem to suggest that there is only one strategy: the enterprise strategy. When you extend this logic, it would suggest that there need not be a Marketing strategy, an Operations strategy, product or service strategies, HR strategies, and the like. For instance, if the enterprise strategy suggests that revenue growth is projected to be 15% for the next year, what role will Marketing play in building those revenues, and how will that division go about driving them? The Marketing strategy should provide that additional detail. Likewise, the Sales strategy should do the same, providing its version of the translation. It may become apparent in the plans of those divisions that data analytics is path toward revenue growth for each of them. There may be a desire to collect more data, synthesize it, and make better decisions. In learning this, IT may determine that it does not have an adequate data warehouse to be able to store the quantity of data envisioned by the rest of the organization. As a result, it may not have the tools necessary to synthesize the data. If neither of those are in place, it probably means that there are not many IT staff with the sophisticated analytics skills to fully capitalize on the vision that the other divisions envision. An IT strategy would address these gaps, highlighting an imperative to build out supply of skills and the infrastructure necessary to meet the demands of several divisions of the company. It is not a completely different plan, but rather IT’s translation of where it will focus its attention in order to help breathe life into the priorities of other organizations. Ultimately, each division should have its own strategy because the entire team should be made aware of the objectives that they are helping to drive. If IT is left behind, accepting the notion that it does not have a separate plan, there are no shared objectives that everyone in IT supports, delivers against, brainstorms new ideas for, and the like. Collaboration. Are we there yet? 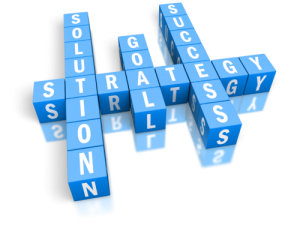 Innov8 provides strategic IT consulting and advice to help you build successful business solutions and increase the business value of your technology. Innov8 ensures that any IT solution is a catalyst to attaining your business goals — effectively and sustainably.